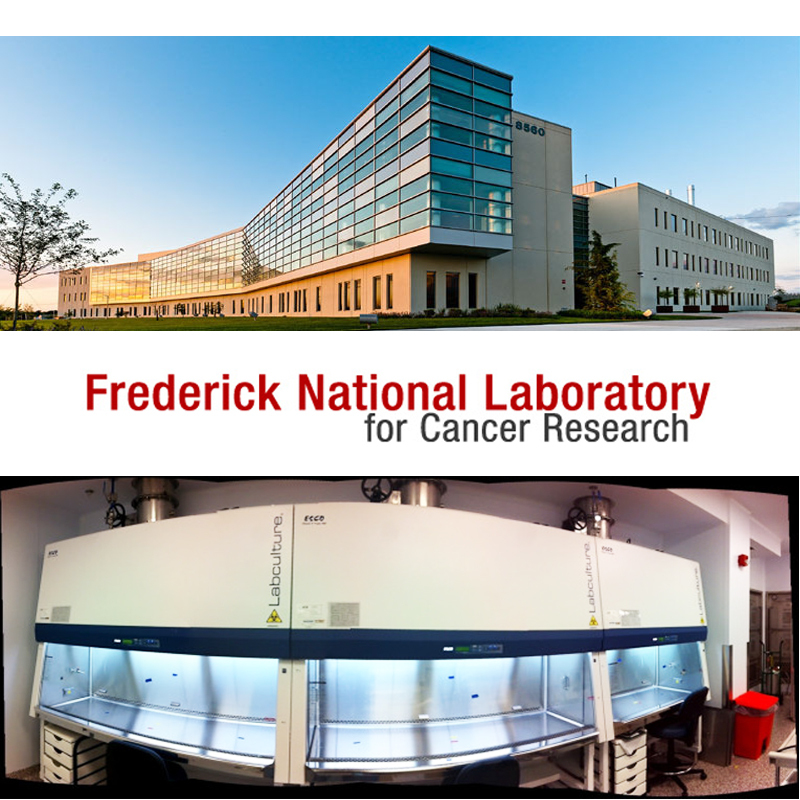 The Frederick National Laboratory for Cancer Research in Maryland is one of 39 Federally Funded Research and Development Centers (FFRDC). These are government-owned, contractor-operated entities best known as the federal national laboratories, such as Brookhaven, Argonne, Sandia, Oak Ridge, Los Alamos, and others. SAIC-Frederick, Inc. develops and applies advanced technologies to accelerate the delivery of new treatments to patients with cancer and AIDS. The company is a wholly owned subsidiary of Science Applications International Corporation and operates exclusively under a single, long-term contract to the Frederick National Laboratory for Cancer Research, part of the U.S. National Institutes of Health. To accomplish this extensive task, SAIC-Frederick entrusted Esco Technologies to supply 128 units of biological safety cabinets. Many of the cabinets were customized to meet their needs, such as connecting multiple cabinets together with tunnel, to facilitate fast and sterile material transfer between cabinets. This achievement demonstrates Esco capability to supply a large number of high quality laboratory equipment to a prestigious research facility in timely manner, and the ability of Esco design team to closely work with the end user to customize the products to meet their specific needs.